The JuniorTukkie Office, in collaboration with the Faculty of Health Sciences and the Faculty of Veterinary Science, will be hosting information sessions at their respective campuses. Click here to book your place before 25 February 2019. 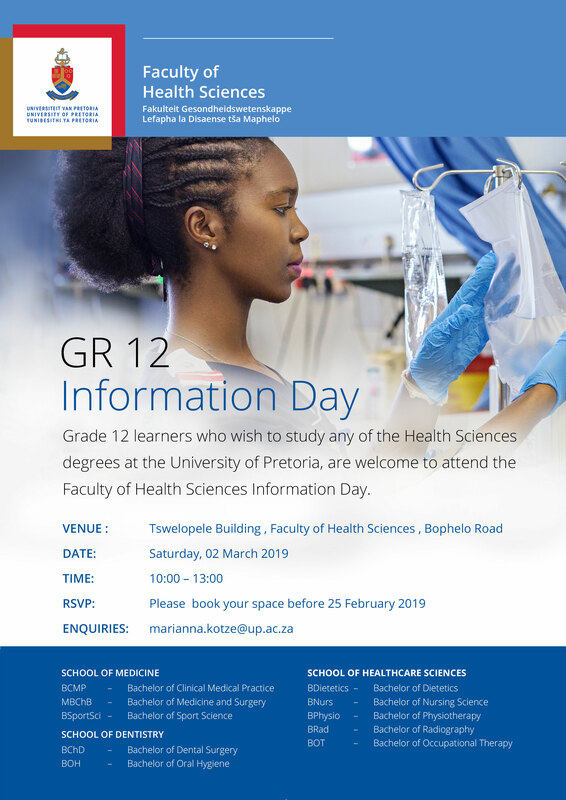 The JuniorTukkie Office will send invitations (via email) to all JuniorTukkies who are currently in Grade 12 and interested in studying a programme in the Health Sciences. Their parents are also welcome to attend. 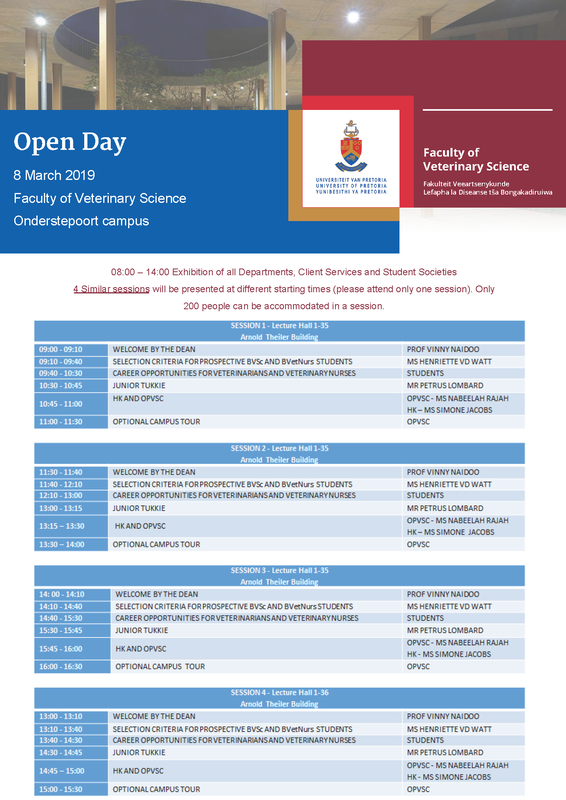 Invitations will be sent (via email) to all JuniorTukkies who indicated that they are interested in studying Veterinary Science. Their parents are also welcome to attend.